Treat yourself to the resort-like atmosphere and convenient location of a Long Beach Hotel near top attractions. Featuring modern accommodations and event space, this hotel in Long Beach, California offers luxurious Marriott Revive bedding, flat screen HDTVs, and sleek new d cor just minutes from major sports teams, breathtaking beaches, and top corporations. Guests will delight in the unmatched airport convenience of this hotel near Long Beach, offering complimentary airport shuttle and free self-parking. Highlighted by striking indoor and outdoor event space, this hotel in Long Beach, CA provides an ideal backdrop for an endless variety of weddings, meetings, or social gatherings. Business travelers take pleasure in the proximity to esteemed corporations, including Boeing and Toyota, while adventure-seekers cherish the short drive to Disneyland, CSU Long Beach, and Stub Hub Stadium. 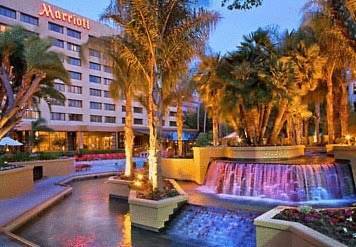 For an ideally-located hotel in Long Beach that satisfies a variety of interests, choose Long Beach Marriott. Great appetizers & salads created in our open kitchen by our Chef. Amazing margaritas & cocktails, specialty draft & bottle beers.